Happy Endings Book Club hits the USA Today Bestseller list! 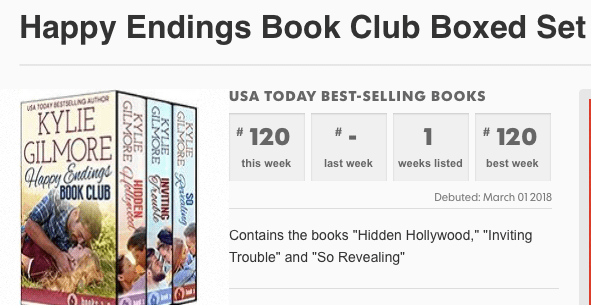 So excited to share the Happy Endings Book Club hit the USA Today Bestseller list! Thank you to all my readers! Happy Endings Book Club on USA Today!